We feel pleasure to present ourselves as the leading manufacturer and supplier of a wide collection of Bifurcated Fans. Due to their features like robust design, high strength and excellent functionality, our provided fans are extensively cherished among our clients. The fans provided by us are manufactured from the supreme quality raw material with highly developed technology under the vigilance of our deft professionals. 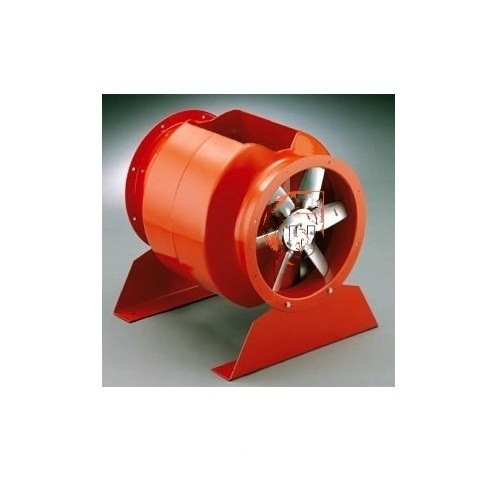 Our offered fans are designed for ventilation in industries. We “Suvidha Air Engineers” situated at Ahmedabad (Gujarat, India) have gained recognition in the field of manufacturing and supplying highly reliable range of Centrifugal Fans, Pressure Blowers, Air Washer Units, Axial Flow Fan And Roof Ventilators, Blower Accessories, Evaporative Cooling Pads, etc. Under the leadership of our Managing Director “Mr. Nirav Patel,” we have engineered our way to success with excellent quality, incessant innovation and unmatchable drive to beat deadlines. In less than a decade of foundation, we have made a name of ourselves in air-moving equipment and a wide spectrum of precision engineered humidification machinery. Since our establishment in 2005, we are supported by robust infrastructural base that encompasses various departments such as procuring, production, quality testing, R & D, sales & marketing and transport & logistics. Our easy payment mode, prompt delivery, client-oriented approach, reasonable price range and fair business policies have placed our company at the pinnacle of success. We offer our product under the brand name of Celpad, Suvidha Air Flow, etc. Some of our reputed clients are Jindal Steel & Power, Door-Oliver, Reliance Power, ETA, BGR Energy, Cosmos Films, ESSAR Power, Jaypee Group, Dresser Rand, Indian Oil, HMEL, NPCIL, etc.